You can participate in the sport of RC car driving at different levels. From the five-year-old with his $20 toy car to professional Nitro-powered RC car racing. Although there's a learning curve involved, RC cars are easier to control and to avoid crashes with than RC aircraft, (like airplanes and drones). Those can fall out of the sky if you pause to rest! 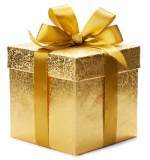 For beginners, it is recommended you begin with electric RC cars, which run on batteries. The Nitro-fueled models can wait until you are well up to speed. Next, you must decide whether you want an on-road or off-road vehicle. On-road models are designed for smooth surfaces, like concrete or road pavement, and are most often styled like street cars or sedans. 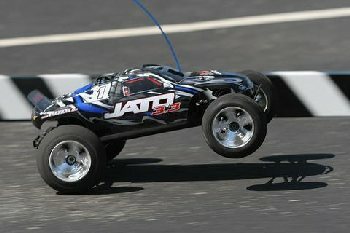 On-road RC cars are often used for racing competition. Off-road vehicles can handle rougher terrain due to a beefed-up suspension and wide tires; they usually come in a buggy or truck style. To get started, order a Ready-To-Run (RTR) Kit, like the one below. Pay attention to the range, or how far your RC car can get away from you and still receive messages from the transmitter. For most cars, the range is 100-200 yards, but you need to check this spec before ordering. Also check out the max speed for the remote control cars if you think you might be interested in racing. After you open the box, take the time to familiarize yourself thoroughly with the car and controller, and read the instruction manual cover to cover. Before you ever fire it up. Most RTR remote control cars are piloted with a pistol-grip transmitter, which controls the throttle and brakes. Many remote controllers contain a steering wheel, which as you might expect, is used to make the car turn. Others use joysticks, kind of like video game controllers. Just remember that while the car is facing the same way you are, turning the steering wheel or joystick left will turn the card left, and vice versa. But when the car turns and comes towards you, turning left will actually steer the car right. You will get used to this in time. It is best to practice maneuvering your new RC car on a figure 8 track which you have laid out, so that you get used to this concept. Soon you will be a pro and piloting an RC car will become second nature. Then it's off to the races! We picked out a couple of often-recommended beginner's RC cars, shown below. For more details or to order, click the no-added-cost Amazon affiliate links below. Have you ever seen slot cars? Absolutely a more controlled environment; but it's an old sport, kind of like a cult classic. Read about slot cars on this page: Remote Control Hobbies. Or what about RC airplanes or RC boats? Read up on the hobby of model railroading here. Get the skinny on the hottest new RC sport! Visit Drones 101.